If a picture tells a thousand words, then a video can surely tell a million, right? 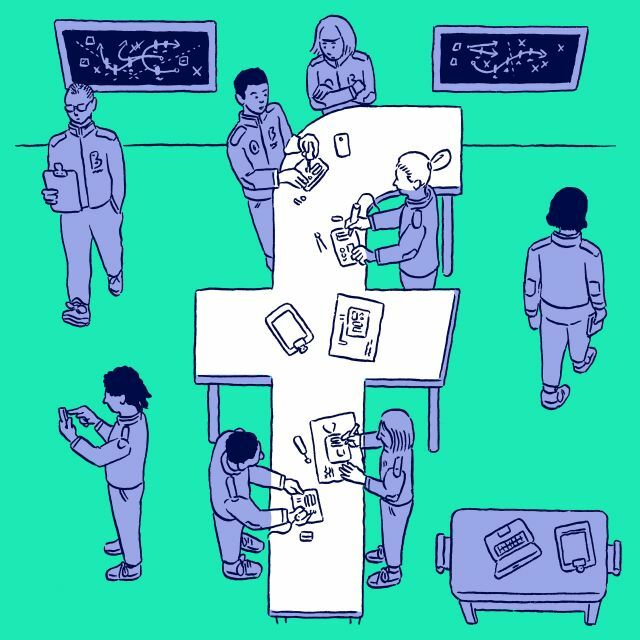 Facebook certainly seem to think so, which is why they’ve made a number of updates recently, aimed at prioritizing video content on the network. The latest to roll out is a new feature that allows all pages to use a cover video in place of a cover image. This update is great news for businesses. As a brand, it’s important to take every opportunity to display professionalism and drive home your brand message. Your Facebook cover is the perfect place to do this. After all, your branding on Facebook, including your cover, is often the first impression for new customers, and a video is an engaging way to put your best foot forward. Plus it just looks cool. Here at Biteable, we recently swapped out our Facebook page’s cover image for a video cover ourselves. At the risk of tooting our own horn, we’re pretty pleased with the results. For example, here’s our old cover image. Not bad, but not the most exciting, right? And here’s a link to our new Facebook cover video. You’ve got to admit, it’s a bit more eye-catching. 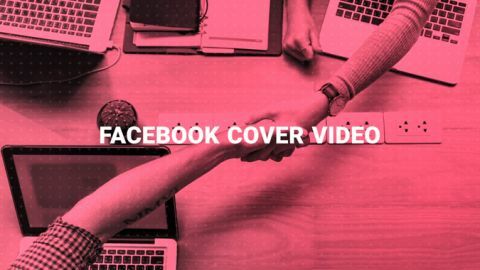 Want to find out how to make your own Facebook cover video? We’ll walk you through it! You can upload a cover video just as you would a still image, and you can either choose from videos you’ve already shared on Facebook or upload your own. If you’ve already got a video on Facebook that you’d like to use, you can select “Choose From My Videos.” Facebook will let you know if any of your videos will work with their required specs. If you don’t have a video that’ll work, it’s time to get creative! 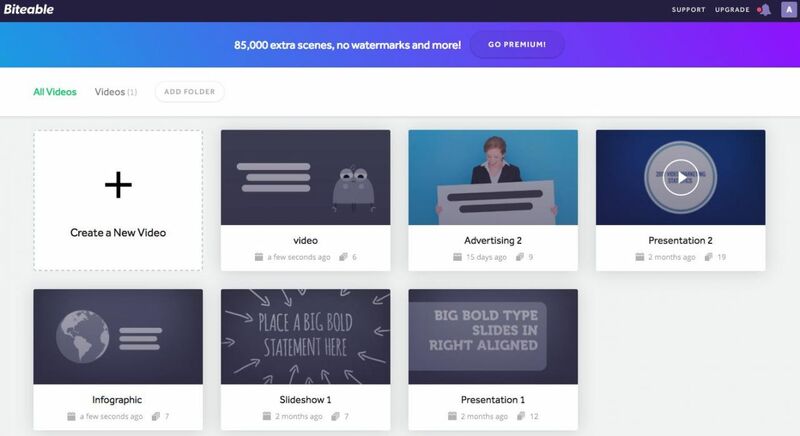 Biteable is an easy Facebook cover video maker that makes it simple to create a professional Facebook cover video in minutes. 1. First, log in to Biteable or create an account. 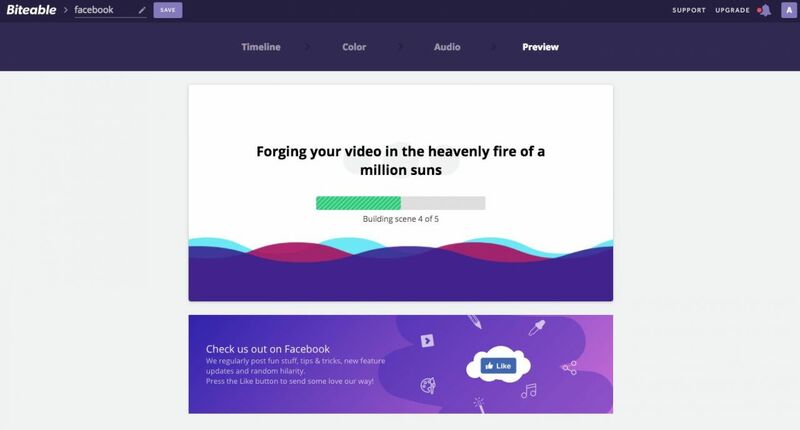 Note that while you can create videos and share straight to Facebook and other social media networks, you’ll need a Premium account to first download your video and then upload it to Facebook. 2. Once you’re logged in, click on Create a New Video. 3. 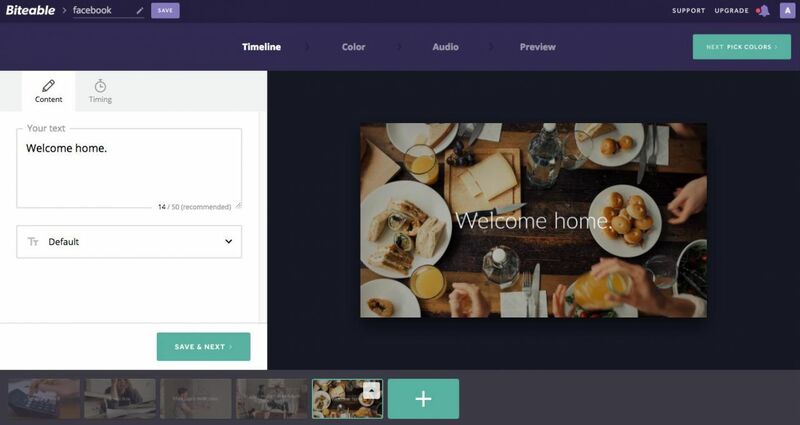 Choose a video style, or click Start From Scratch. 4. Click the plus symbol on the timeline at the bottom to add a new scene from the library. If you want to delete a scene, click the drop-down menu on the scene thumbnail in the timeline and hit Delete. Remember that Facebook will crop the video vertically — you’re only going to see roughly 75% of the screen (also known as a ‘letterbox’ view) when Facebook crops it, so try to choose scenes where the text and main action appear roughly in the same position throughout the video (or don’t put in any text at all!) Note: you can reposition the video in Facebook so you see the top, middle or bottom. 5. Once you’ve finished creating your scenes, add music from our library of free tunes (or upload your own), customize the colors, and hit Build My Preview. 6. When you’re satisfied, click Publish This Video! Download your video (you’ll need a Premium account to do this), then open Facebook. Click the icon in the top left corner of your cover and select Upload Photo/Video. Facebook will automatically crop your video to the required specs. 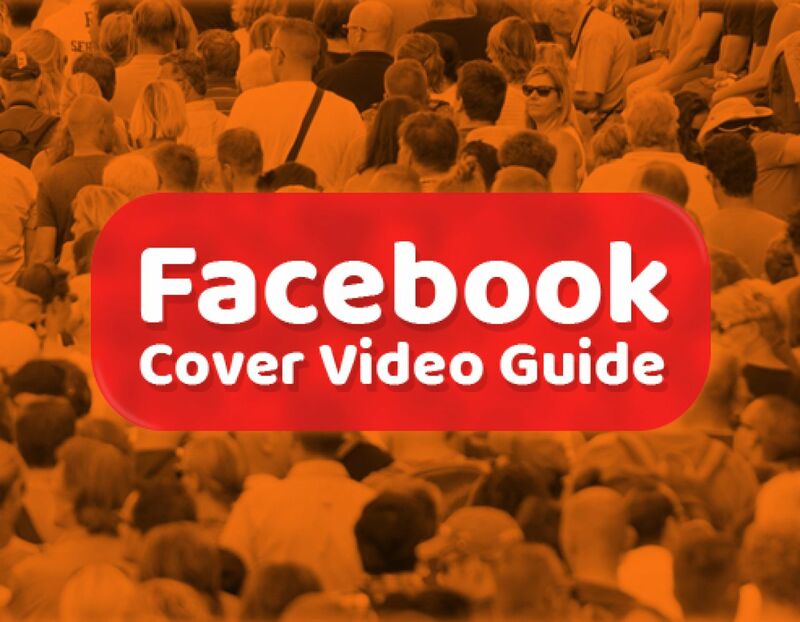 As we mentioned above, there are a few requirements for your Facebook cover video. The first is the dimensions. According to Facebook, “The recommended dimensions for your video is 820×462 pixels, however it is required that videos be at least 820×312 pixels.” Luckily, you won’t need to worry about changing the dimensions of your video. Biteable videos are HD (1280×720 pixels) resolution, which is easily big enough for Facebook, and you’ll even be able to drag to reposition your video for the best fit. Facebook cover videos must be at least 20 seconds in length, but no longer than 90 seconds. Biteable scenes are (mostly) roughly 5 seconds long, so you’ll usually need a minimum of 4 scenes in your video. Facebook doesn’t specify a file size for cover videos, however, site-wide, videos must be less than 1.75 GB. Since Facebook cover videos are limited in length, and Biteable videos are pretty well optimized, you’re unlikely to come anywhere near that limit. Learn how to make your Facebook page profitable with video. Keep it short, clear, and simple. You want to introduce your brand, but you should avoid overwhelming or distracting users too much from the main purpose of your page. You still want your audience to engage with your other content and calls to action. Keep it unique, but professional. It’s OK to have fun with your video, but don’t go too crazy or off-brand. Make sure your video starts and ends with a natural loop. Remember that sound is muted by default, so include it, but don’t make it critical. Keep size in mind. Since you’ll be dragging and cropping your video to the correct size, try to keep any images or text in the center so they don’t get cut off. While Facebook supports a number of video file formats, MP4 or MOV format is recommended, and again, we’ve got you covered because Biteable exports MP4 format videos. Ready to create your own Facebook cover video? Get started here!